6 Reasons To Move To Sweden, Stat. Look, there’s really no need to mince words: we love Australia. It’s our eternal crush. But there’s something about Sweden that is just so appealing, and so much deeply cooler than us. Whether it’s their Scandi furnishings, laidback Fika vibes or their natural blonde locks there’s just something about Sweden; and we want in! Because our knowledge of Sweden extends to flat pack furniture and The Muppets, we’ve teamed up with the Swedes behind our favourite cider, Rekorderlig, to give you the skinny on why you seriously need to get to Sweden, stat. Sweden does way more than just (delicious) meatballs, you guys. 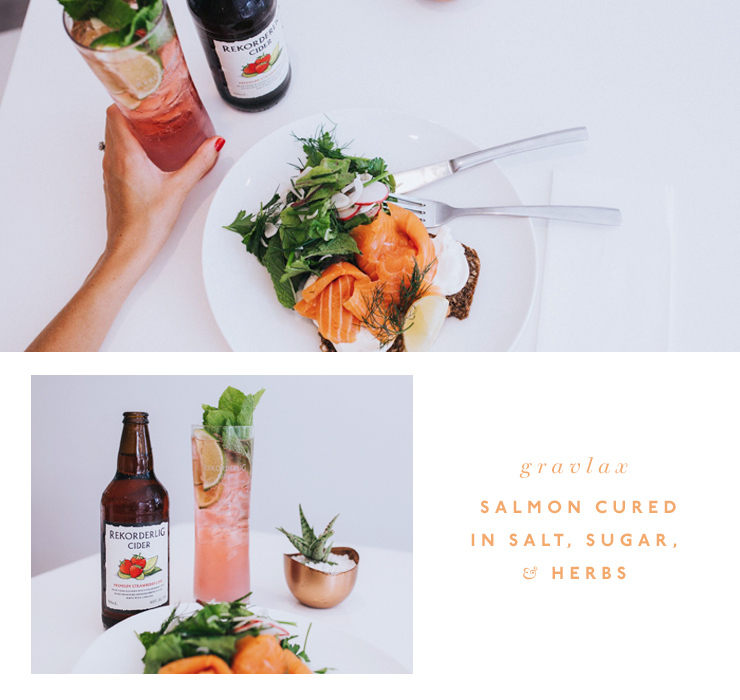 For one, there’s gravlax—fish (typically salmon) cured in salt, sugar, and herbs—which is our favourite nosh for when we’re feeling indulgent, but still want something light. If sweet is more your thing, try the kanelbullar—it’s the best iteration of a cinnamon scroll we’ve ever tasted. These foods pair perfectly with cider. Thanks Sweden! Sweden’s landscapes cover off a wish list of national beauty: the northern lights, winter wonderlands, striking lakes, contemporary cities, historic relics, wildflower covered fields. They’ve got it all. You can bet that wherever you are in Sweden you’ll be looking at something beautiful. You know that stereotype of an overly friendly Swede, bending over backwards to help? It’s totally true. Swedes are up for a laugh, know great music (Abba or Robyn, anyone!? ), are seriously stylish (Acne Studios, we love you!) and know their way around a cider or two (Rekorderlig, what would we do without you?). Plus, they know how to pimp them! Top your Rekorderlig Wild Berries Cider with berries to do cider the Swedish way. Skal to you, Sweden! Sweden is home to some pretty impressive ice hotels and igloos that sit pretty under the northern lights in the arctic—surrounded by reindeer, of course. Being in Sweden is like being stuck inside a fairytale you never want to leave, so it’s only fitting you check out an ice hotel or cozy up in an igloo. Australians have a reputation for being pretty chilled, but we’ve got nothing on the Swedes. Why? Because they’ve gone and invented a little thing called Fika: a daily pause to stop, breath for a second and appreciate your life. 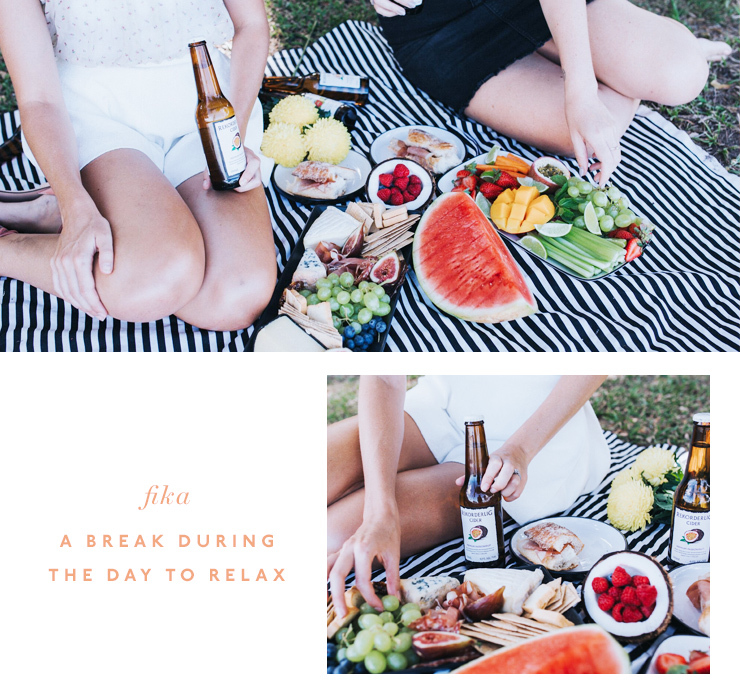 Slow down with a cider, your favourite food, and some sunshine to make sure you’re getting the most of Fika (and your day). Sweden is nailing this whole culture thing. There’s free university, groundbreaking fashion designers, adorable Christmas markets (no, it’s never too early to talk about Christmas), and Sweden has closed more than 80% of the gender gap. Take a bow, Sweden. Let’s be real though if you’re not up for hot footing it to the other end of the world, just kick back with Rekorderlig Cider and you’ll feel like you’re right there. This article is sponsored by Rekorderlig Cider. Thank you for supporting the sponsors who make The Urban List possible. For more information on our editorial policy, please click here.